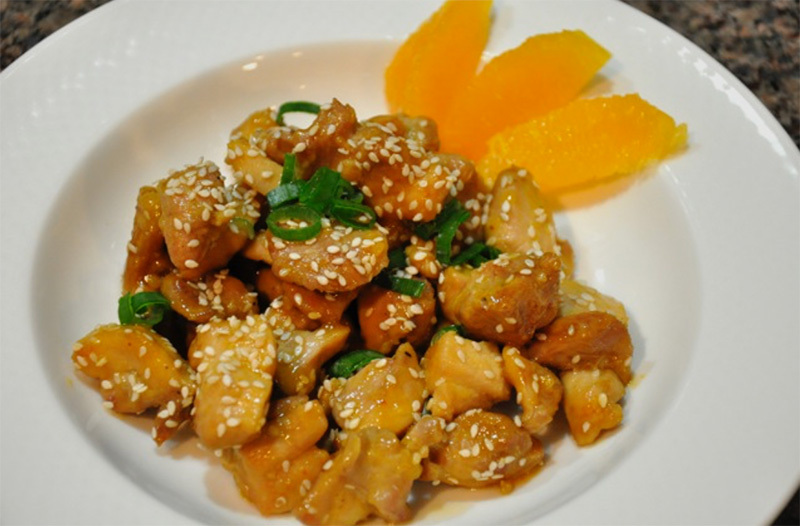 ​Who doesn’t love crispy orange chicken? Forget the restaurant. Now you can stay in and make it yourself at home. Rest assured that this meal is filled with healthy ingredients that will not derail your fitness results. 4. When chicken is almost fully cooked, add the orange sauce, stirring to coat all of the chicken.